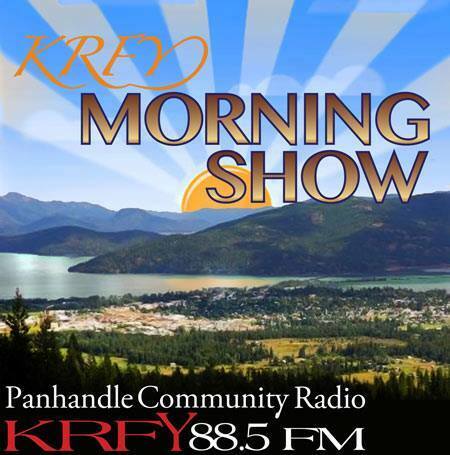 KRFY Radio | Morning Show Schedule: Project 7B, Week Four – WATER IS LIFE, East Bonner County Library. Morning Show Schedule: Project 7B, Week Four – WATER IS LIFE, East Bonner County Library. Here’s what’s coming up the week of September 10=7 – on the Morning Show on 88.5 KRFY. Airtime is 8 a.m. … but if you miss a show, you can hear a recorded podcast of it later in the day, on our Podcasts page. Tuesday, September 18: Hosts Julie Kallemeyn and Phil Hough will visit with Susan Drumheller, Carol Curtis and Daniel Shlaferman with Project 7B. Tune in at 8 a.m.
Wednesday, September 19: Featuring Week Four of a four-part series: WATER IS LIFE, with hosts Suzy Prez and Jean Gerth. This week will focus on “our responsibility to protect.” Their guests will be Shannon Williamson with Lake Pend Oreille Waterkeeper and Diane Williams with Tri State Water Quality Council. Airtime is 8 a.m.
Thursday, September 20: Join hosts Jack Peterson and Jim Healey. Their guest will be Marcy Timblin from the East Bonner County Library with updates. Tune in at 8 a.m.